Spinnin’ Sessions and Spinnin’ Deep have announced the full line-ups of their events during this year’s Amsterdam Dance Event. 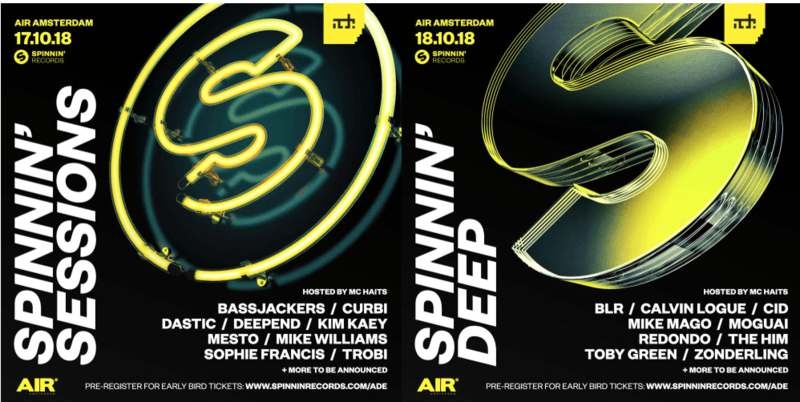 Taking place on Wednesday, October 17th (Spinnin’ Sessions) and Thursday, October 18th (Spinnin’ Deep) in AIR Amsterdam, the nights will see performances from several Spinnin’ artists as well as a couple of mystery guests. 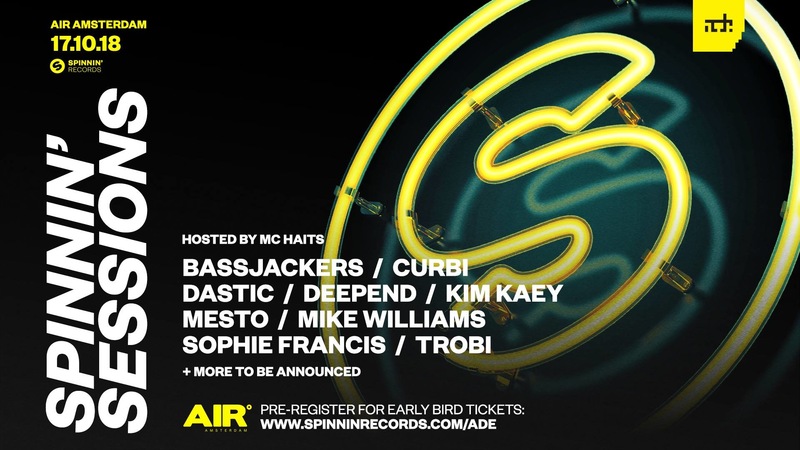 Spinnin’ Sessions will proudly return to ADE on Wednesday with performances from artists like Bassjackers, Curbi, Dastic, Deepend, Jay Hardway, Kim Kaey, Lucas & Steve, Mesto, Mike Williams, Sophie Francis and Trobi. During the night, this year’s mystery guests will be announced. Following this, Spinnin’ Deep will welcome the following artists on Thursday: BLR, Calvin Logue, CID, EDX, Kryder, Mike Mago, Moguai, Redondo, The Him, Toby Green, Watermät and Zonderling.